Jac Vapour is one of the more established UK e-cig brands and offer a good selection of e-cigarettes and vape pens. Jac Vapour have been around since mid 2010 and over the last couple of years have started to offer some competitive ecig and vape pen products. In December 2015 they restructured with significant changes including a new board of directors and external shareholders. It is hoped that Jac Vapour maintains its product quality with the arrival of its new decision makers! More recently JacVapour have succumbed to market pressure and started to market Sub Ohm vaping. This type of vaping involves risks to those who are inexperienced and whilst featuring more vapour than a steam train, one has to ask if human lungs, longer term are designed to deal with an influx of vaporized e-liquid of this magnitude. If not what will be the consequences to one’s health? Fundamentally you are vaporizing e liquid at significantly higher volumes simply to blow out big vapour clouds – tripling the cost of your vaping needs in order to blow out these huge plumes of vapour with unknown health consequences. Hasn’t something similar happened before…with cigarettes? There is no real nicotine advantage as you need to use 3 to 6 mg nicotine e-liquid with sub-ohm vaping whereas you are vaping with 18 mg nicotine with the standard V3i e-cigarette. The JV basic kit is noted by 3 review sites as being in their best e-cig picks – see the analysis and calculations page. Primarily it is rated well because the product is of a good quality and also the preferred V3i e-cig kit offers a Portable Charging Case (PCC) and a USB charger which ensures you can charge your e-cigarette battery on the move or in the house. Ideal when you are out and about. However the kit contains a single battery and you will require at least two batteries to be sure you can vape the whole day. There are 6 Jac Vapour kits ranging from around £20 to £50.00 depending on the accessories you want. Update: The Jac Vapour basic kit no longer has a PCC option, shame! The main advantage of the kit is the well made PCC. Most e-cig kits allow you to charge from the mains or via any USB outlet but the Jac Vapour kit is designed for recharging batteries from the PCC and not from a USB or the mains. For those who travel extensively a PCC is a must. Both Jac Vapour and V2 Cigs offer very similar quality PCC devices though the V2 battery is the more powerful at 4.2 Volts and 380 mAh compared to JV at 3.7 volts and 280 mAh. V2 has more power and is longer lasting and is one of the reasons they provide more vapour. You charge up your PCC overnight using the USB connector and it is then ready to charge your e cig battery literally anywhere. The battery charge time is between 2-3 hours and the PCC will charge the battery 2-3 times before requiring a recharge itself. Obviously you will need to buy a second battery since one will be charging unless you are happy to wait 2-3 hours before vaping. JV state that all there e liquid is safe and tested but they do not offer a full detailed ingredients list to customers. In addition they only carry out their own batch testing on random samples – ” Batch testing involves a random selection across the full range of flavours, strengths and volumes” whereas V2 for example have full batch testing on all e-liquid products. The e-liquid refills cost £6.79 for 5 with 8 flavours to choose from. Discount is given when buying 10 packs of 5 but be sure of your favourite flavour and try their “mixed flavours” offer before ordering in bulk. Accessories are relatively inexpensive so running cost is competitive. There is also an option to use a mini-tank so that you can use your own e liquid. The mini-tank is a very good idea too but the Jac Vapour version has a push on rather than a screw on lid which does leak. If you go for a Jac Vapour kit you can however use the V2 mini-tanks with it as they both have the same KR808D battery connection. The V3i kit by Jac Vapour is a quality kit which is well made. 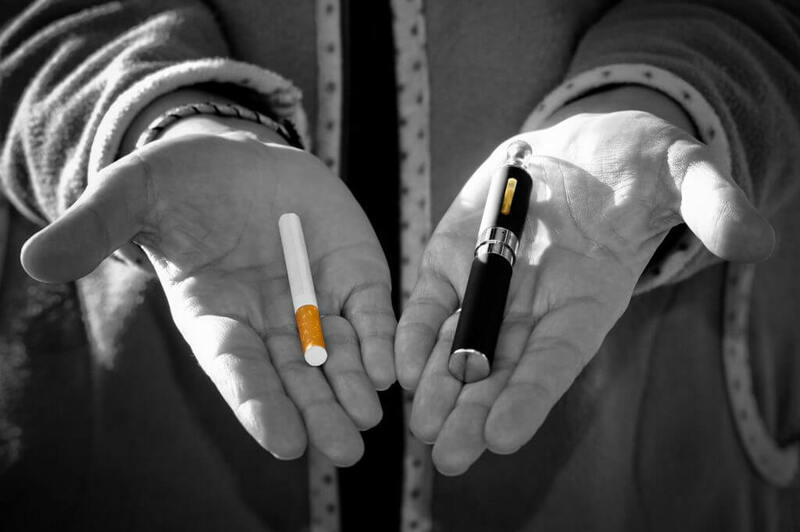 Smaller e-cigarettes like the Jac Vapour V3i and V2 kits show that you don’t need a device the size of an iPhone to vape effectively. This is down to the quality of the components. Personally I prefer both V2 products and Jac Vapour products over the current #3 rated e-cig, Green Smoke which appears to have some questionable high scores at some e-cig review sites!? However the V3i kit really does need a second battery which pushes up the cost into the premier e-cigarette price range and at this price the V2 Ex-Series is in a league of its own. Positives: A very effective small scale e-cigarette that is well made. The PCC is a great option for those who are out and about. Ideal for those not wanting an e cig the size of an iPhone! Negatives: Should have used a 4.2 Volt battery. Also with only one battery even light smokers will struggle. Adding an extra battery to the cost puts you in the V2 Cigs Ex-Series territory and the V2 is simply a better option.